Move your home more on the decorative side with this stunning brand new french styled wall clock. 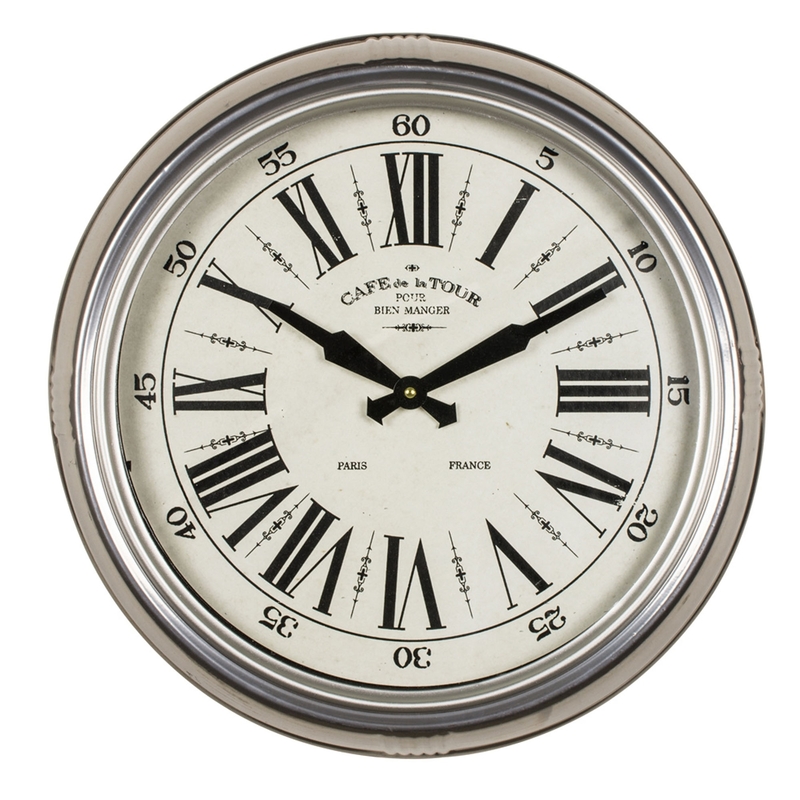 An aesthetically pleasing silver metal wall clock with a white face,black roman numerals and 5-60 around the perimeter. The perfect new addition for any home if you are needing something to give your home more of a detailed and well kept outlook.